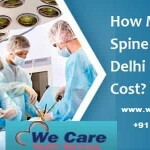 With a dominant presence in South India, delivering exceptional healthcare services to people in India and world across, Global Hospitals Group, one of India’s fast growing chains of Tertiary care multi-super specialty and multi-organ transplant Hospitals is coming up with a new Hospital in Mumbai, the financial capital of India. The new Hospital is expected to be a state-of-the-art tertiary care multi-super specialty and multi-organ transplant facility. Coming up in the heart of the Mumbai city, located at Parel and adjacent to ITC Grand Towers, the hospital is built to International standards and International quality benchmarks. A new landmark to the skyline of Mumbai, Global Hospitals is poised to bring to the people of Mumbai, Maharastra, neighboring states and international patients the legacy of Global Hospitals Group’s clinical excellence, one of India’s largest multi-organ transplant facilities. Rewriting medical records as a way of life, Team Global Hospitals at Mumbai, will bring its demonstrated dedication & commitment to deliver exceptional patient care and patient safety with the highest standards of clinical practices, clinical expertise & excellence from the foremost clinicians of the world with the support of the latest and state-of-the-art technology. To be a world- class medical services provider turning distant possibilities into today’s realities. “At Global Hospitals, we measure progress by the number of people in whom we restore the hope of healthy tomorrow. For us to do well, we know, we must help the world do well. Keenly focusing on quality, affordability and accessibility, we have established performance benchmarks that are difficult to surpass. Global Hospitals has carved a niche for itself in India’s healthcare industry by excelling in areas ranging from diagnosis to multi-organ transplantation, from simple procedures to complex surgeries, international expertise and state-of-the-art infrastructure. It is today, a one stop healthcare destination for people across the country. The Baldota Institute of Digestive Sciences specializes in the diagnosis, treatment, and prevention of disorders of the Stomach, Esophagus, Small intestine Colon, Pancreas, Liver and Gall bladder. 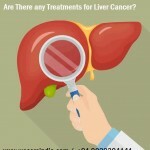 The Institute has some of the leading Gastroenterology (GI) specialists in India. They work closely with other inter disciplinary colleagues to develop a comprehensive, individualized treatment plan considering the varied diagnosis, lifestyle and professional requirements of the patients. The institute takes pride in teamwork to achieve the best possible outcomes in a wide range of disorders from hereditary to acquired, to age-related diseases of Gastro Intestinal tract. As one of Global Hospital’s cornerstone Centers of Excellence, Advanced Heart, Lung & Vascular Institute is a premium, comprehensive center providing innovative, quality care close to home. Utilizing advanced medical and surgical equipment, the expert team of physicians and nurses practice evidence-based medicine blended with patient-centered care. From intervention to cardiothoracic surgery and rehabilitation, the institute’s approach hinges on personalized care, recognizing that every patient is unique. Global Hospitals’ Advanced Heart, Lung & Vascular Institute provides all kinds of endovascular procedures including coronary intervention and peripheral intervention, heart surgery, heart bypass surgery as well as heart transplantation surgery in Hyderabad, Chennai, and Bangalore. In fact, Global Hospitals Heart Institute is one among few centers in the country, which has adopted coronary PCI by radial artery approach. 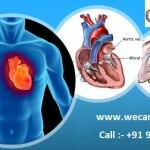 The Heart Institute also has gained reputation as one of the finest heart-transplant surgery units in India. Global Hospitals’ INSTITUTE OF MINIMAL ACCESS & BARIATRIC SURGERY takes care of all laparoscopic procedures, which include bariatric procedures to help people who are severely overweight when traditional weight loss methods have been unsuccessful. Bariatric surgeries are performed at all Global Hospitals branches in Hyderabad, Chennai and Bangalore. Global Hospitals has attained excellence in minimal access surgery/bariatric surgery/obesity surgery/weight-loss surgery and is offering a variety of bariatric/weight-loss /obesity surgery options. The institute is recognized for providing complete bariatric surgical care and can manage the most challenging and complex obesity disorders. As the recognized leader in bariatric surgery, the institute takes a multidisciplinary approach and truly partners with patients for the best, long-term outcomes. The institute offers everything from pre-surgical education, to nutrition and lifestyle counseling, to post-surgical support. Through every phase of the program, the patients are treated with compassion and respect in a comfortable and reassuring atmosphere. The institute is committed to helping each patient reach a healthy weight.